If you are not in an OUC that begins with 08, please contact the person who submits security access requests (SARS) for your College or Department. If your OUC begins with 08, please complete the form below. Once this request has been submitted to OIT, please allow 4 to 7 business days for processing. General Ledger (Journals): Access for entering, editing, routing, copying, printing, reversing, approving, checking, and posting journals. Payables (Vouchers): Information regarding payments and reconciliation of invoices with Purchase Cards. Purchasing (Requisitions): Information regarding access to requests for purchases. SAS Reporting: Provides access to run some of your own requested reports created from Advance data. Student Information Systems (SIS): Includes access to application modules to support common business activities, such as finance, account and human resources, as well as modules to support admissions, records and registration, financial aid and student accounts activities. 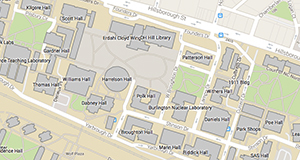 Capital Asset Management (CAMS): Information regarding tracking and accounting for capital asset inventories and/or supporting detail information for each unique capital asset owned by the university. PCard Reconciler (Purchase Card - Reconcilers Only): Access to move charges to appropriate project IDs and account codes before the cut-off dates for all Purchase Card (PCARD) transactions. IDT Access: Access to move Interdepartmental Transactions to appropriate values such as journals, sales, and transfers. Web Leave: Access to maintain departmental employee leave records, generate reports, reconcile employee's leave, and print records for employees.